Ousama Moammar, MD is a board certified veteran of Internal Medicine. Originally from Damascus, Syria, he earned his medical degree in Europe from Pecs University School of Medicine in Budapest, Hungary. At Forum Health Medical Center in Youngstown, Ohio, Dr. Moammar furthered his studies in internal medicine. For several years, he focused his skills on intensive wound care while serving veterans, armed services personnel, and Native Americans. After critical care training at Geisinger Medical Center in central Pennsylvania, he worked as an Intensivist at St. Anthony’s Medical Center in Oklahoma City. Today, he runs a private medical spa, Legacy MD, where he proudly serves men and women in Frisco, Texas. 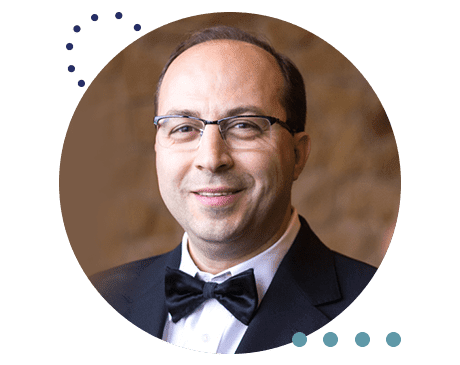 Dr. Moammar is passionate about using integrative approaches to keep his patients above the wellness line and in optimal health. In addition to his extensive medical knowledge, Dr. Moammar is dedicated to operating a green, paperless practice. As a side interest, he develops on-call apps for medical providers and hospitals. Legacy MD welcomes new patients. Call the office or use the online scheduler to reserve a personal consultation with Dr. Moammar.